Golf is played outside, usually in sunny weather. It goes without saying that protecting your eyes is extremely important. However, many golfers opt to not wear them, especially if it affects their round. If you want to start wearing them or need a new pair, here are 3 things you need to know when choosing golf sunglasses. The first thing to consider is what shape and type of glasses you need. To determine this, look at the shape of your face and the size of the lenses. Most companies tell you what shape and size face the sunglasses are designed for in the description. 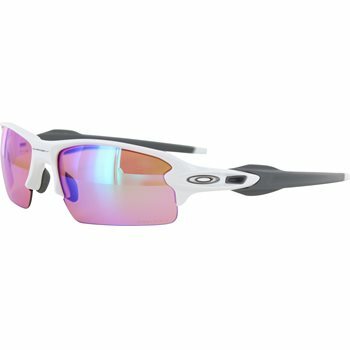 A popular style with golf sunglasses is a wrap-around style, like the Oakley Flak 2.0 (above). These glasses prevent the sun from sneaking in on the side or top of the lenses. Having this happen is often more distracting than having no glasses on at all. You also want to make sure the glasses are going to fit securely. Nothing distracts quite like a pair of glasses that slip down your nose or fall off of your face during your swing. 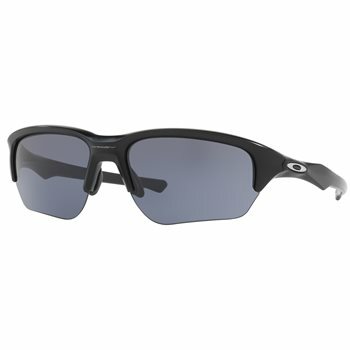 Brands like Oakley and Under Armour offer a variety of sunglasses with an athletic design and fit that work well. An often overlooked consideration when choosing golf sunglasses is the lens color. The proper lens color makes a huge difference. With all of the lens colors out there, which one is the best? That depends on a few factors. Brown tinted lenses are perfect for bright, sunny environments with a lot of green (read, golf course). The biggest advantage with these is how they increase the contrast in green colors. It’s much easier to see undulations in the greens, eliminating the need to take them off when putting. Also, brown lenses are optimal for viewing distance and depth perception, making it easier to admire your 350-yard drives! Other tints, such as gray, highlight other aspects while still protect your eyes. Grey lenses are better in extremely bright situations, such as looking into a rising or setting sun, to follow your shots. Finally, there is price and features to consider. Typically, polarized lenses will come with a higher price but block out 100% of the sun’s harmful rays. One downside to polarized glasses is the difficulty to read some GPS units and rangefinders. However, having to remove the glasses to see your distances could be a small price to pay for protecting your eyes. When looking at price, don’t forget to consider your history with sunglasses. If you’re like my co-worker, going through 2-3 pairs a year is normal. He may accidentally sit on them or simply forget where he left them. If you can relate, spending a great deal of money on a pair of sunglasses is hard to justify. The good news is, there are solid options to choose from without breaking the bank. 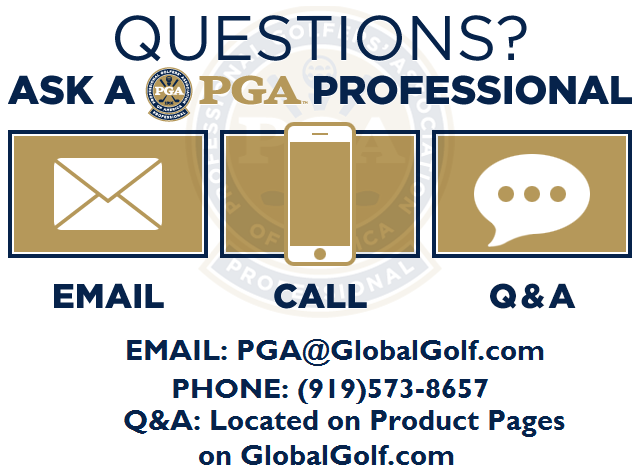 When you are choosing golf sunglasses, be sure to consider the points we discussed. The shape should fit you comfortably while still blocking as much of the sun as possible. Brown lenses are ideal for seeing different green colors and depth perception. Grey lenses are great in bright light. Finally, as with anything in golf, price is a factor. Consider your history with sunglasses to determine how much you should spend.